One of the most sought-after backup musicians of the 1960s, Drake played on such hits as Lynn Anderson's "Rose Garden", Charlie Rich's "Behind Closed Doors"' Bob Dylan's "Lay Lady Lay"' and Tammy Wynette's "Stand by Your Man". 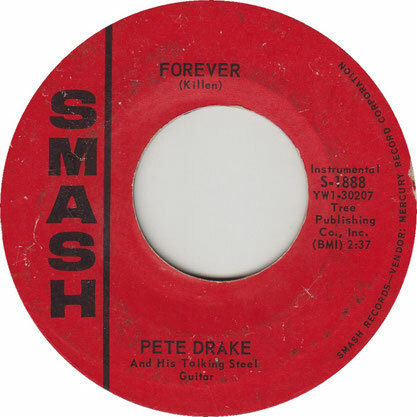 The single, "Forever", charted in March 1964 and reached #25 in the Billboard Hot 100, eventually sold over one million copies, and was awarded a gold disc His innovative use of what would be called the talk box, later used by Peter Frampton, Joe Walsh, Roger Troutman and Jeff Beck, added novel effects to the pedal steel guitar. 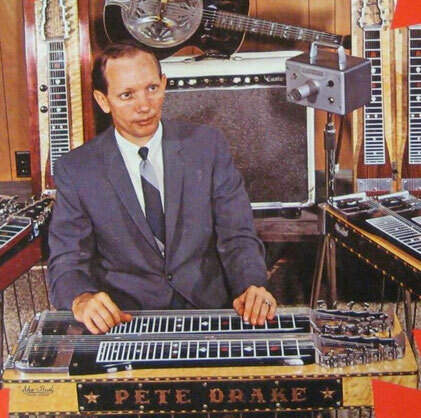 The album Pete Drake and His Talking Steel Guitar, harkened back to the sounds of Alvino Rey and his wife Luise King, who first modulated a guitar tone with the signal from a throat microphone in 1939. 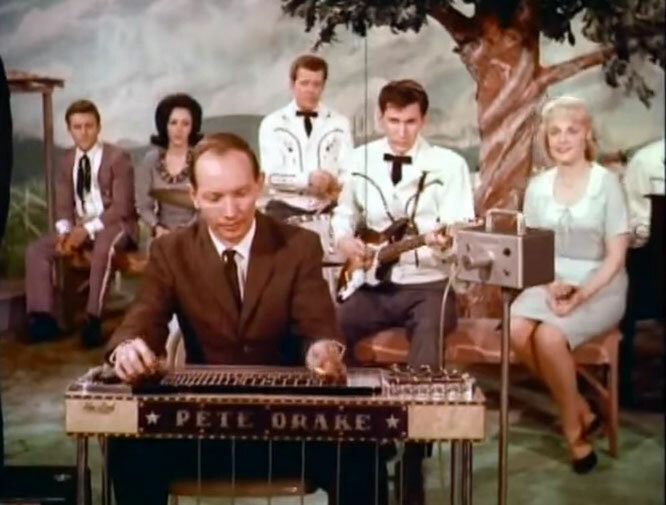 The unique sound of the talk box with a steel guitar was new in the 1960s, and it made the sounds of vocalizing along with the strings of the steel guitar.